*Please visit the BHR 11 Winter 2019 page of our site, to read and view our full collection of poetry and visual art! Blue Heron Review Issue 8 / Summer 2017 “The Healing Issue” Is Now Available to Read Online! Welcome to the SUMMER 2017 HEALING ISSUE of Blue Heron Review! This is our first, themed issue for Blue Heron, and we had a record high number of submissions. So many writers connected with the need for healing in our lives on many different levels. This theme was open to topics of physical healing, emotional healing, the healing of our environment, spiritual healing, etc. Poets from across the US, Canada, and abroad showed up in our in-box with deeply personal, poetic narratives about their own experiences of healing. Each poem in this collection is a sacred offering to our readers. I hope that you will be present for yourself, for these extraordinary artists who have shared their stories, and for the future we hold so dear. Within these creations exists a glorious hope for what our world could be, if we listen to each other with love, compassion, and grace. Please click on the tab for Blue Heron Review Issue 8 Summer 2017 to read the full collection. There is much to explore and savor here. I hope that you enjoy reading these poems and viewing the artwork, as much as I have enjoyed creating a space for these beautifully rich offerings! 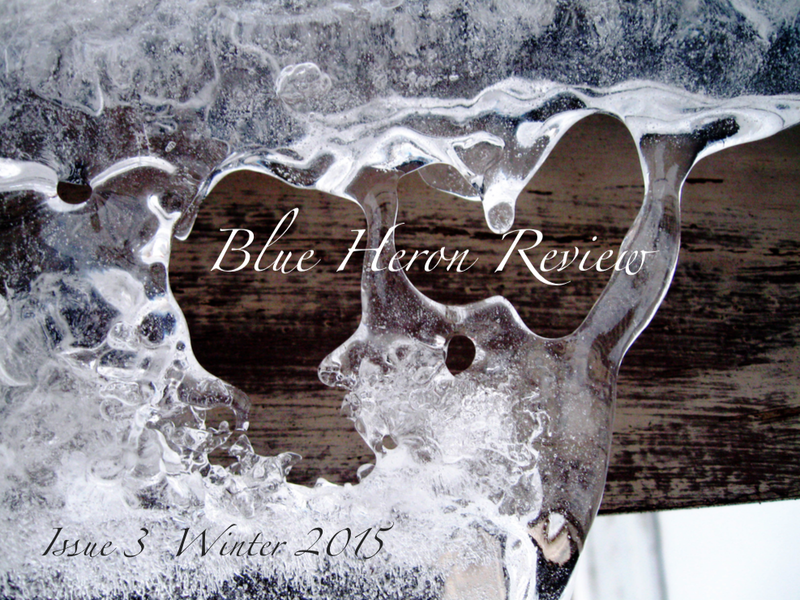 The Winter 2015 Issue of Blue Heron Review is Now Available to Read Online! Please visit the Blue Heron Review Issue 3 Winter/2015 page of this site, to enjoy a selection of poetic offerings and visual art by our contributors. Winter is often a time of reflection, stillness, and deep silence, as we travel inward and wear the cloak of this quiet season. After reading and re-reading this issue, I notice that there are recurring themes of grief, remembrance, and longing. I hope you will take the time to savor these poems and images. Since we only have 2 issues per year, each collection is full, colorful, and has many voices. Each poem deserves its own spotlight. Memory finds us in the heart of winter and begs us to listen. Take time out of your day to rest, pull up a chair, and read these beautiful, poignant poems. 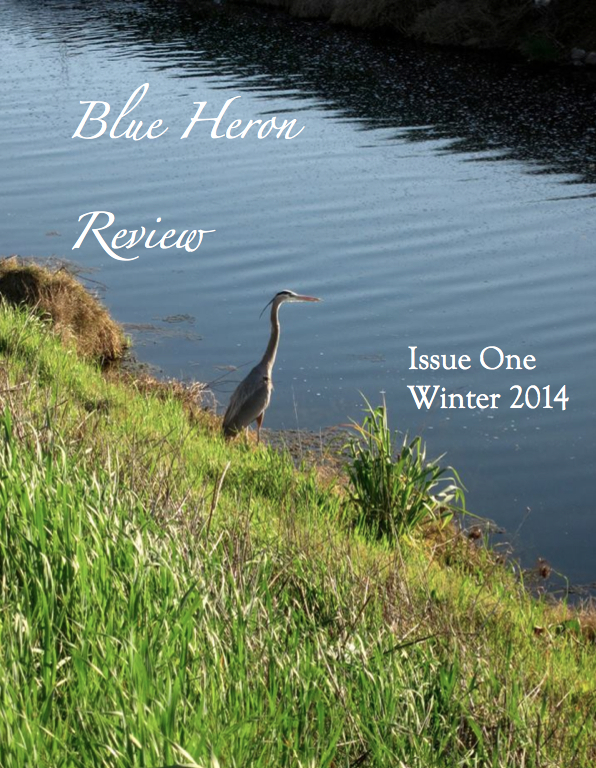 Blue Heron Review Issue Number One Released Today! Welcome to the first issue of Blue Heron Review! To read all of the beautiful poetry and art offerings in this issue, please visit the Blue Heron Review Issue 1 Winter/2014 tab on this website. I hope you will find poems and images that speak to you this winter, as we gently prepare for spring and come out of hibernation. The contemplative months of winter allow us to search within and re-connect with the self. Each poem in this issue, shines a light on all that is sacred about existing in this beautiful world. Enjoy!